Defending Planned Parenthood would be a political career-ender for most Republicans in a GOP debate, but Donald Trump has now done it twice. In the face of attacks by GOP rivals Ted Cruz and Marco Rubio over the topic in Thursday night's debate, Trump reiterated that he is pro-life and doesn't support abortion services, but said he thinks Planned Parenthood provides other essential services to "millions of women" across the country. "Donald thinks Planned Parenthood is wonderful," Cruz said, adding that he would investigate it were he elected president. Rubio, too, made mention of the fact that Trump "very recently...was still defending Planned Parenthood" during a question about filling the late Justice Antonin Scalia's seat on the Supreme Court. In response, Trump didn't deny his support for some of the organization's activities, saying "millions of women" depend on it for services that have nothing to do with abortion. "As far as Planned Parenthood is concerned, I'm pro-life, I'm totally against abortion having to do with Planned Parenthood but millions and millions of women--cervical cancer, breast cancer--are helped by Planned Parenthood," Trump said. "So you can say whatever you want, but they have millions of women going through Planned Parenthood that are helped greatly." "And I wouldn't fund it. I would defund it because of the abortion factor which they say is 3 percent -- I don't know what percentage it is, but I would defund it because I'm pro-life. But millions of women are helped by Planned Parenthood." That was consistent with what he said during the CBS News debate earlier in February, when Cruz similarly brought up a quote in which Trump called the organization "wonderful." 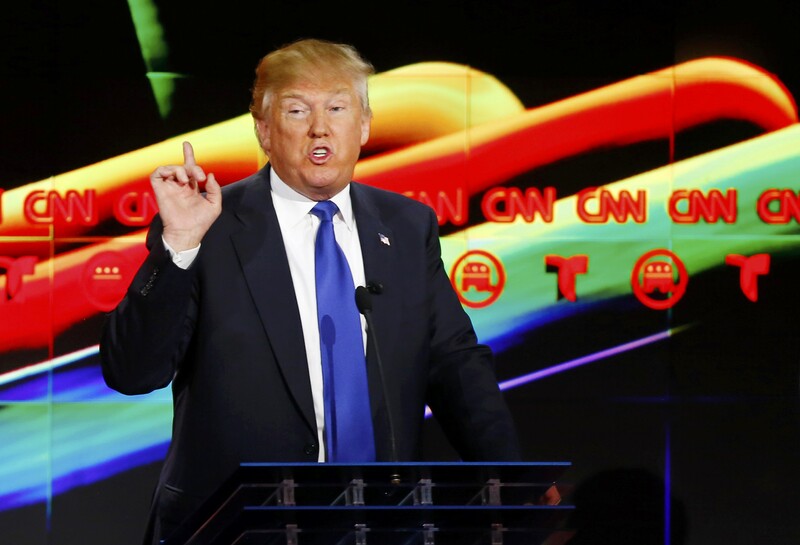 "It does do wonderful things, but not as it relates to abortion," Trump said in that debate. "There are wonderful things having to do with women's health, but not when it comes to abortion."